The pioneer of the Israeli formats industry internationally, and the Founder and CEO of Armoza Formats, Avi Armoza is one of Israel's leading film and television producers. Deran is VP for development & current for Studio Lambert USA where he has developed and sold several projects across broadcast, cable, and streaming platforms. Hayley Babcock is a highly respected international television executive with an extensive background in formats, development, production, acquisition and management. She has wide-ranging experience overseeing multiple global franchises, acquiring programming and uniting diverse international partners to work as a cohesive team. New York native Dave Broome received his Bachelor’s degree in Business Administration from New York’s Hofstra University. In 1986, the diehard East Coaster moved West to host a radio sports-talk show on XTRA-AM, broadcast in Los Angeles and San Diego. Jonathan Cane is Head of Development for Back Roads Entertainment. Sierra Cowan is the Manager of Program Development at CNN and HLN. 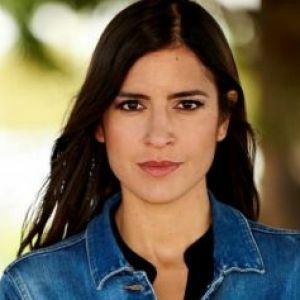 She is responsible for cultivating relationships within the creative community and working with production companies, agencies, and potential talent to develop content for CNN and HLN from initial concept to series premiere. Jenny Daly is President of T Group Productions. Ed Davis is an Agent in the Non-Scripted Television Department at UTA where he specializes in packaging and talent representation. His clients include production companies, talent and showrunners. Ed joined UTA in 2009 after spending a number of years in the music industry and corporate world. Kristina Edwards serves as Creative Development Consultant for Fuse Media, a cross-platform entertainment media brand for Latino and multicultural youth. Edwards is responsible for overseeing the development of linear programming for Fuse. John Feld is the Senior Vice President of Original Programming and Production for Discovery, Inc.’s lifestyle brands HGTV, DIY Network and Great American Country. In this role, he is responsible for developing and supervising specials, series and tent-pole events for the networks. Harry Gamsu is VP of Non-Scripted at Red Arrow Studios International, working with the SVP of Acquisitions to acquire formats, factual and factual entertainment programming from third-party production companies around the world. Ethan Goldman is a producer/development executive with twenty years’ experience working in television, film and digital. Goldman recently was promoted to Partner at Anchor Worldwide, a global creative agency where he heads up the entertainment division in Los Angeles. Sean Gottlieb is Vice President, Development and Programming for A&E, where he oversees development and production of non-fiction programming for the network. He joined A&E in April 2014. Richard Gray is the Los Angeles Managing Director at ACF Investment Bank. He is a co-founder and co-owner with over 20 years’ investment banking experience, and has been honoured multiple times by Variety in its prestigious Dealmakers Impact Report. Steve Harris began his filmmaking career directing music videos & documentaries. He was an executive at both TLC & A&E prior to co-founding and running Marlon Wayans reality production company, Workaholics Entertainment. David Hillman currently serves as Vice President, Reality Programming, for Lifetime and is responsible for developing, overseeing and launching new primetime non-fiction series for the network. Will Horowitz is an agent in ICM Partners’ unscripted and broadcasting departments. 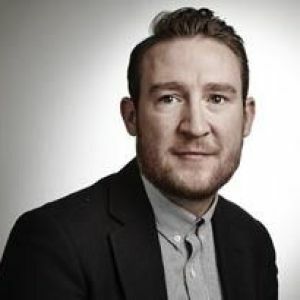 Brett-Patrick Jenkins is a Critic’s Choice award winning producer and television executive based in Los Angeles, and the Head of Development at Propagate Content. After studying art at the University of Texas at Austin, Brett-Patrick joined Rick Baker’s Cinovation Studios and contributed to films including Hell Boy and The Haunted Mansion. Ricky Kelehar is Senior Vice President of Development for Optomen Productions. In his role, he oversees development teams in both the New York and Los Angeles offices and is responsible for generating original formats for cable networks, broadcast channels and streaming platforms. Cleve Keller and Dave Noll began working together in 2004, when they created and Executive Produced AMC’s reality series FilmFakers. They officially joined together as Keller/Noll in 2007. Globally, Keller/Noll has created and sold over 2,000 episodes of television. As an Emmy-nominated television executive, Timothy Kuryak has developed, produced and overseen thousands of hours of programming for both broadcast and cable networks here in the United States and abroad. Max Levenson serves as vice president of Current & Creative Development at Electus, a multimedia entertainment studio owned by Barry Diller’s IAC, where he oversees the development and production of unscripted content for distribution across various broadcast, cable, and OTT platforms. Cynthia Littleton is Managing Editor, TV at Variety. She has covered the television beat for the past 20 years. 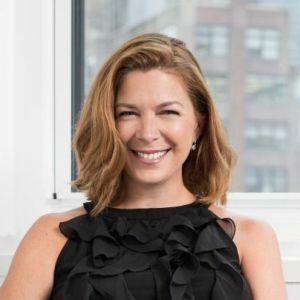 She began her career at United Press International, followed by stints at Broadcasting & Cable magazine, Variety, and The Hollywood Reporter, where she rose to Editor before rejoining Variety in 2007. Jennifer McGovern joined Fuse Media in the newly created position of Senior Vice President, Current and Development last summer. Ms. McGovern is based in the company’s Los Angeles office and reports to Chief Content Officer, J-T Ladt. Fuse Media is a cross-platform entertainment media brand for multicultural youth. 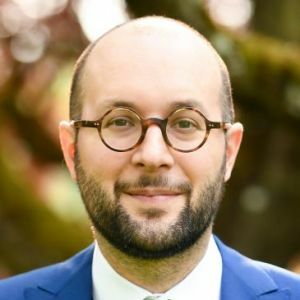 Max Micallef serves as Director of Development for Discovery Channel. In this role, he works alongside international and domestic producers to develop prime-time series for the network, while helping to steer strategy for new projects. 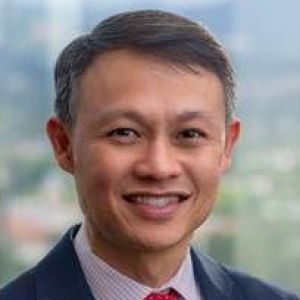 Tony Nguyen is a Development Executive at Complex Networks working under the Premium Content team overseeing scripted and unscripted series from pitch through launch. Most recently he’s Executive Produced Droppin’ Cash, Inst@famous, Slobby’s World, That White People Sh!t, and Rules to This Sh!t. A TV enthusiast and expert, O'Connell has chronicled the medium's evolution since joining The Hollywood Reporter in 2011. His purview at the ASME-winning magazine includes ratings, alternative programming, awards coverage, celebrity profile and many areas in between. He seldom tweets, and his parents think he is criminally underrated. Pitman Casting Inc/ Partypit Productions Inc.
Leela Pon is the SVP of Development for E! Entertainment, where she is responsible for daily oversight of the team that works to develop and create new hit shows and formats for the global pop culture network. Speaking at: 30 Minutes With: Leela Pon, E! With a career spanning over 20 years, Emmy Award winner, New York Times Best Selling author, actress and producer Leah Remini continues to grow her breadth of work, most recently as creator and executive producer of A&E Network’s hit nonfiction docuseries Leah Remini: Scientology and the Aftermath. 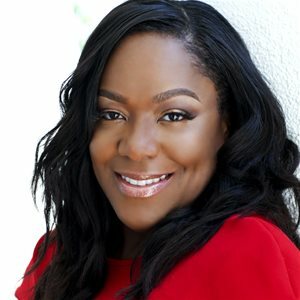 Christmas Rini was named Executive Vice President, Development, Unscripted Original Series in March 2018. Rini now oversees all unscripted development efforts for the studio, reporting to Sharon Levy, President, Unscripted and Scripted Television, Endemol Shine North America. Monica Rodman is Senior Vice President, Development, Universal Television Alternative Studio. Jane Root is a leading creative executive who has transformed major networks on both sides of the Atlantic. She has built a reputation for innovation, determination and delivery in both television and digital. Wayne Sampson serves as Vice President of Programming & Development for USA Network & Syfy and is based in Los Angeles. In this role, Sampson works with programmers to develop new series, manage show production and cultivate new talent for the two networks. Betsy Slenzak is the Vice President of Development at E! Entertainment, where she is responsible for the daily management of a multitude of unscripted development projects and creating new hit shows and formats for the global pop culture network. 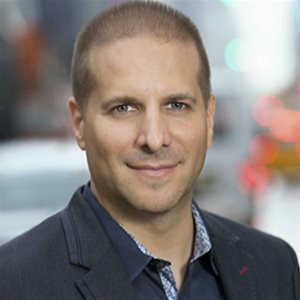 Emmy Award Winning producer Scott Sternberg is CEO and Founder of Scott Sternberg Productions, No Studio Entertainment, SSP Digital and the Spanish language production group, Spanglish Entertainment. Based at Raleigh Studios Hollywood, The Sternberg companies specialize in unscripted programming and provide content to all broadcast and cable networks. 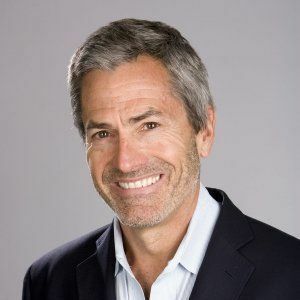 Rob Swartz is Sr. Vice President of Development and Current Programming at REELZ, a leading independent cable and satellite general entertainment network connecting its viewers to Hollywood wherever it happens. Swartz leads creative execution of the network’s development and production slate. Michael von Würden is Managing Director of Snowman Productions, a Red Arrow Studios company. Snowman Productions is a market leader in the development and production of entertainment formats for the Scandinavian market and worldwide, with productions including the international hit Married at First Sight. Natalka Znak is President of Znak&Co. Marielle Zuccarelli is Chief Operating Officer of GRB Entertainment, managing the company’s growth and profitability with oversight of program development, international distribution and acquisitions, corporate strategy and business development, including GRB’s branded entertainment division.